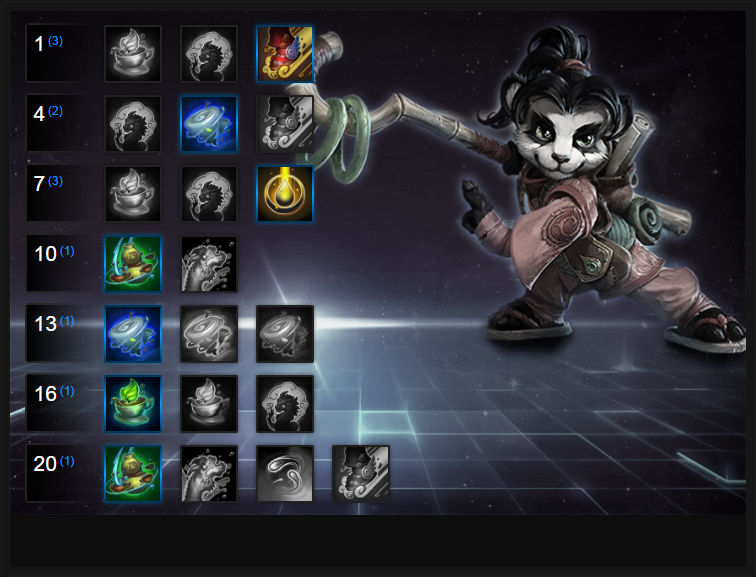 In this Li Li Build Guide, we provide an overview of her strengths, abilities and talents. Li Li is a ranged healer with multiple tools at her disposal. She is squishy, but her solid healing output makes her very hard to kill. Although she lacks a true escape ability, she does have a variety of means to mitigate damage to herself, or at the very least survive for a reasonable period of time. Unlike other support Heroes, Li Li's heals are "smart" based, meaning that when she uses her healing ability they'll automatically target and heal the lowest health player. Unlike other healers she also has an incredibly low cooldown on Healing Brew meaning she can continually top up the health of her team. 2019 Bingo codes are important. The reason why I love Li Li so much is that her smart healing means she can continually deal damage rather than having to sit and heal - her Blinding Wind or Cloud Serpent actually allow her to go toe-to-toe with most enemy Heroes and she can quite comfortably solo the likes of Jaina or Kael'Thas. Despite that, she's not a highly favored Hero in the competitive scene because of her automation, but she's fantastic for climbing the ladders in Hero League if you want to get out of Gold. Fast Feet (Trait) – Li Li may not have a traditional mobility skill, but gaining a 10% movement speed buff whenever you take damage, no matter how small, can be quite useful. During team fights you’ll often have this buff regularly, making it easier to skirt around the action to make sure you’re supporting your allies effectively. Best of all, when Fast Feet are active, your cooldowns are reduced by 50%. You don't want to be taking damage, but the benefit it provides is undeniably good. Healing Brew (Q)– This is an extremely potent heal, with an incredibly low cooldown and mana cost. The tradeoff is that it’s not exactly a targeted ability, with the nearby ally who has the lowest percentage of their maximum health automatically receiving the heal. This can be somewhat controlled with your own positioning to make sure you’re healing the right target, but be mindful of where you decide to go to avoid putting yourself in a bad spot just trying to heal the correct ally. Li Li's biggest limitation is that she cannot burst heal a chosen target and if someone who is under pressure on your team has slightly more health than another ally (who has less) they won't be healed by your Healing Brew until their health is the lowest. Cloud Serpent (W) – Since this ability is simply damage-oriented, it generally makes sense to place it on a friendly warrior, or whoever will be spending the most time right in the middle of the enemy team. The fact Cloud Serprent heals for a small amount every time it attacks ensures you need to heal less. On a Warrior, Cloud Serpent can prove particularly valuable. Blinding Winds (E) – You’ll want to use this as soon as it’s available whenever a fight breaks out, and it is particularly effective on Heroes that rely on their basic attacks. It can also be useful on map-specific threats, such as the Garden Terror or Dragon Knight. As with Healing Brew, you cannot choose your targets, so try to make sure you’ll be close to the correct targets without putting yourself in a terrible position. The Blind lasts for a fairly lengthy period of time, so be sure to use it when you anticipate incoming damage. Jug of 1,000 Cups (R) – This Heroic shares the same property as Healing Brew, as it will automatically heal a nearby ally who has the lowest percentage of their maximum health. The ability will change targets as allies become healed, and it provides an absolutely massive amount of healing. Keep in mind that there is a short delay from when you activate Jug of 1,000 Cups to when it gives out the first heal, so trying to heal an ally who’s about to die won’t work. It’s also important to note that this ability can be interrupted, so as with everything else, positioning is key. Water Dragon (R) – If you’re the team’s primary healer, you’re going to need Jug of 1,000 cups to do your job effectively. However, in the event your team has enough healing elsewhere, or you have massive damage, the immense crowd control Water Dragon provides can be valuable. Also, Water Dragon cannot be interrupted, so if you believe you’ll never be able to channel the Jug for long, this could be the correct Heroic choice. Eager Adventurer allows Li Li to gain the benefits of her Trait for 100% longer, while also increasing her mana regeneration by 100% while Fast Feet is active. Hindering Winds provides a high slow (25%) for 2 seconds, allowing Li Li to kite with ease, while ensuring her team can punish anyone she catches. It also ensures she can repeatedly land basic attacks against them, especially if her Fast Feet is active. Let's Go! allows Li Li to make an allied Hero Unstoppable, but also provides a minor heal to them instantly. Let's Go! also has its cooldown reduced when Fast Feet is active, ensuring you regularly have it available. Your Heroic healing ability, Jug of 1,000 Cups, is a powerful smart heal that heals a huge area. It'll continually heal the lowest health allies for its entire duration but it can be interrupted - be careful when using it. Gale Force allows Li Li to increase the blind duration of Blinding Wind by 1 second. Not only that, but it also allows her basic attacks to deal 75% more damage against those affected. By default Li Li isn't an amazing solo Support, so taking Two For One helps her considerably. For the sake of a 1 second additional cooldown, Two For One now heals two Heroes. Jug of 1,000,000 Cups simply boosts your Heroic so that it heals 2 allies at once. Just be conscious of the fact that this Talent will elongate the duration of your Heroic cooldown (see tooltip). This list of tips and tricks are just a handful of things we think will help your Li Li play. We'll continue to add to the list as required and if you have any tips you'd like to share, let us know in the comments below and we'll place them here. 1. Remember to keep attacking the bad guys. Your heal is "smart", so mash Q and target the red team. 2. Save your Heroic for a time when you know you can't be interrupted. Blowing it early is just asking an enemy to interrupt you. 3. Keep the Cloud Serpent up as much as possible when in fights: don't underestimate the added damage and healing. 4. Try to position yourself so that your Blind hits the high attack speed / high damage enemies. 5. Remember that the Cloud Serpent only heals if it is attacking: get yourself in attack range and place it on a team mate that is in the fray. 6. Li Li's heroic heal is great, but it can't sustain someone who's being focused and low health. If you can, try to use it when your allies are half health. 7. Be sure to position yourself so that you can still constantly deal damage. You should be near the front - not at the front. 8. If against a dive heavy composition, save Blinding Wind until they're attacking you or a high value target. 9. Always add your Cloud Serpent up on your primary damage dealer - melee Heroes work best. 10. Li Li cannot heal someone who is being focused unless they're the lowest health Hero near her. Factor this in - Li Li works best with an aggresive team that dictates play, rather that you being dictated to. Thanks for reading our Li Li guide! You can now help support Ten Ton Hammer, so we can keep writing guides like this.